The painting, which depicts the dramatic scene of the horrified tsar cradling his dying son after striking him over the head, is encased in glass for climate control. The assailant broke through the glass and, according to a report of the Tretyakov Gallery, ripped the canvas in three places, doing serious damage to the work. The alleged assailant was a 37-year-old man from Voronezh, who, as reported by TV Center and other Russian media, wanted to destroy the painting because it distorted historical facts. "Ivan the Terrible did not kill his son," he was quoted as saying by Snob. Repin’s painting has long been a source of controversy. Painted in 1885 under the reign of Alexander III, the painting was banned from display during that tsar’s lifetime. More recently, in 2013 a group of Orthodox Christian activists, Svyataya Rus, headed by Vasily Boiko-Veliky, wrote a letter to the Tretyakov Gallery demanding that the painting be removed from view. “Not only adults go to the Tretyakov Gallery, but children, too, and they see this absolutely reprehensible painting by Repin. 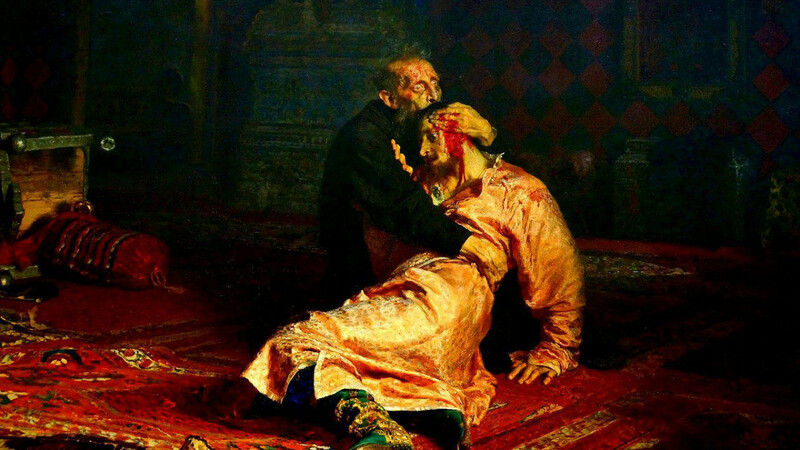 Ivan the Terrible never killed his sons. In fact, he never even thought about it,” Boiko-Veliky was quoted in Snob. The painting was removed from the hall and taken to the restoration section of the museum.